Kids/Personal GPS Tracker(Inclusive of all taxes and shipping charges) with 6 month warranty and view location on any Smartphone. Want to return this product? Return it to us within 10 days after it reaches your door step and we will refund the full amount. So there is no cost involved in trying out this product. This is a safety device and especially in case of child it should not be visible to others while he/she is carrying it. Otherwise the very purpose of using it might not get fulfilled. Worried about your child’s safety when he/she travels to school in a hired vehicle? Get a personal GPS tracker from Connect My World. These days, it is very difficult to trust anyone. Plus, when we hear about the various cases of child trafficking and kidnapping, any parent is sure to feel worried about sending their child unattended to school. More and more parents in India choose a GPS tracker device to ensure their child’s safety. 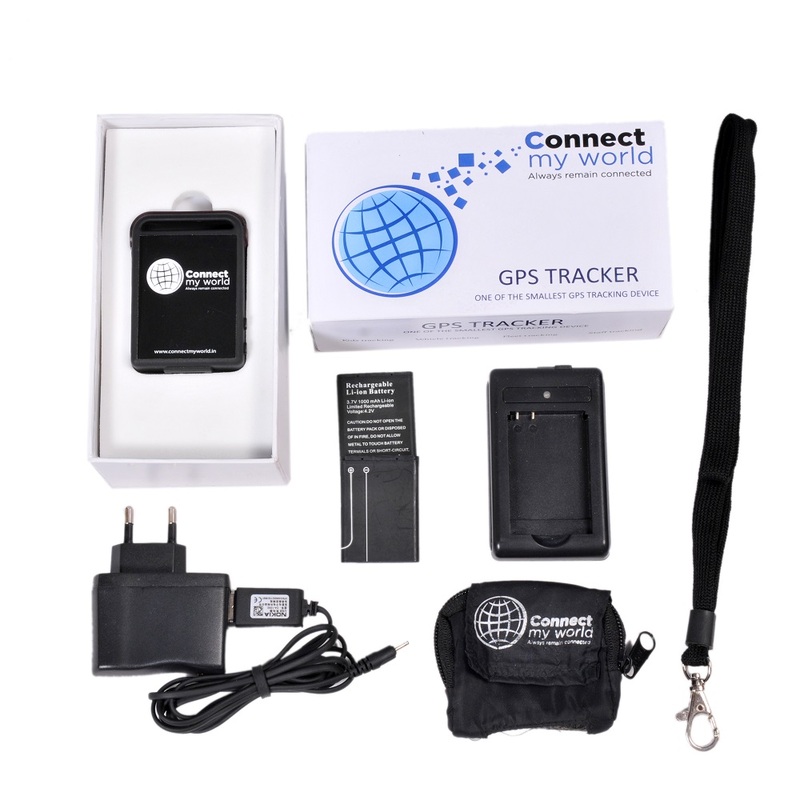 At Connect My World, we offer some of the highly sophisticated GPS trackers in the country. This gps tracking device for kids is designed to help parents keep track of the child’s movements even from afar. It is based on the GPS system. The signals from this child tracking device is beamed to the Global Positioning Satellites that then triangulate the exact position of your kids. The collated information is then converted to an understandable format and displayed on the online platform that you can use for monitoring the child’s movement. You can also give a missed call to the GPS tracker for kids to get details of the accurate location and direction of movement. This Personal gps child tracking system from Connect My World is not just useful for children, but also for the aged and people with memory loss problems. GPS tracking devices for children have been found especially useful for autistic children. Elderly people are prone to periods of memory loss. Sometimes, they may go out to the shop or temple and then forget the way back. In such cases, there are lots of chances that they may get lost and wander away. You will not know where to search for your aged parent or grandparent. 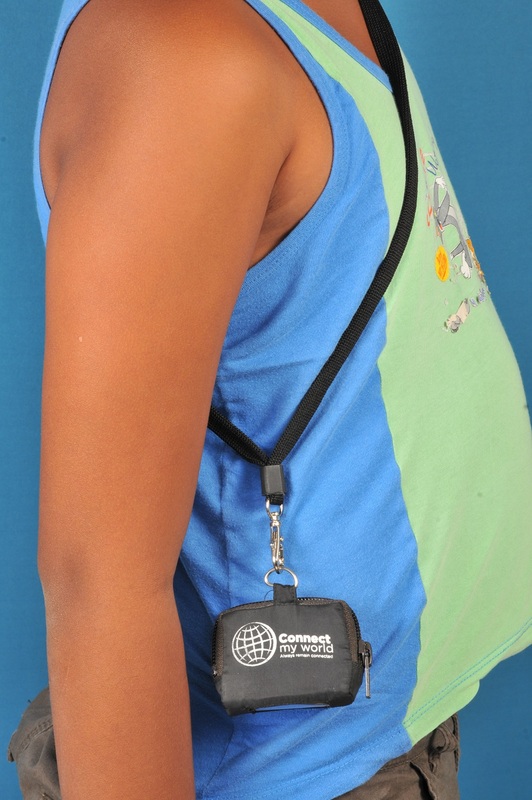 At Connect My World, we offer six months manufacturer warranty on all our Kids/Personal GPS trackers. In case you are not happy with this tracking device, you can return it to us within a week. 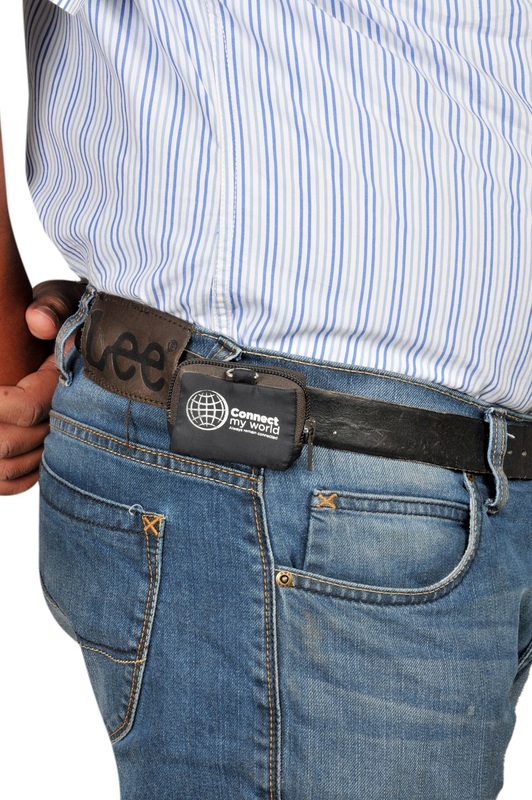 At Connect My World, we offer six months manufacturer warranty on all our GPS trackers. In case you are not happy with the tracking device for children, you can return it to us within a week. Due to high battery life of this device it is always under constant surveillance of Network Provider.No battery means no surveillance. Apart from its day to day use, to fight with any emergency situation like kid had gone missing, complete trace of the movement of this device can be provided by the SIM Card Provider. Our research shows that with small size tracker and hence small size battery, live tracking will be possible only for short period of time (couple of hours) before battery dies. Live tracking is power intensive and continuous process. Due to this reason there are high chances that in case of emergency like child gone missing, when tracker actually is most required, its battery will not be available to serve. Considering this fact while designing the tracker, its availability for much longer period of time(approx. 4 to 7 days) given more importance, with underline assumption that tracker is primarily bought by the parents to ensure child safety. Moreover this Personal GPS tracker for children is supposed to be carried by school going kids. There is need to minimize any kind of radio waves exposure by letting the tracker to remain in sleep mode most of the time. Also not letting the tracker battery to heat up by not working continuously as in case of live tracking can be dangerous sometimes. This extra care is much needed when there is question about child safety. By giving a missed call to the tracker, you get an SMS about the current location with the link to Google Map or hear the voice. You just need to call up the tracker to listen for the surrounding of your kid. It comes with a Help Me! A button which can be pressed in case your child is in an emergency. The message will be sent to pre-configured mobile numbers. It has a battery life of about 4 to 7 days. In case of any emergencies, the tracker can be relied upon. Low battery alert sent to pre-configured mobile numbers. With the size of a matchbox, personal GPS tracker is really small and can be carried around with ease. How much will be the maintenance cost? Only monthly SMS pack of Rs 30 should be completely sufficient to use this product and that is the total maintenance cost of this product. Since there is direct communication between gps tracker and caller, hence no platform subscription charges apply. After purchase of product click here for configuration guide for Personal GPS Tracker. This product will also require active SIM. If you don’t have already one, for how to apply and plan recommendations click here. 84 reviews for Kids/Personal GPS Tracker(Inclusive of all taxes and shipping charges) with 6 month warranty and view location on any Smartphone. Not at all satisfied with the product. Non of the time this device shows the location through GPS google link , every time to track we have to go on your website and search manually.Tried at multiple location but all times its the same.Called your customer care they say take the device in open sky , so jus to track we need to send the user to open sky , this is just of no use. I want refund of this product. Sending you snap shot of track attempt , both are different location but when we click the link either it shows some bangalore or any other place. 1. Is this can set with limits of area. Any traffic jam, road blocks or weather woes will not turn me anxious. The personal GPS tracker now helps me keep track of my kids. The size is that of a matchbox and almost negligible weight; my kids can carry it along in their backpack. Now anytime there is sudden diversion of traffic or unforeseen event occurs, I just have to pick my mobile and track the device and I know my kids are safe! Personal GPS tracker is just the device I was looking for to keep an eye on my aged parents while I was away. What is even more enticing about the gadget is the ‘Help Me’ button which can be accessed in times of emergency. Thanks to the tracking device, now my parents are safe even while I am not at home. My husband and I both are working and it is not possible to accompany our daughter to and from school. Often we used to be frantic about her reaching home on time. But now with personal GPS tracker for kids, I am at ease. The tracker provides me real time updates and I can get to know the location of my daughter in an instant! Now I am absolutely free from worries. I like the personal GPS tracker from Connect My World as its compact, efficient, and absolutely reliable. The view location option lets us easily check my child’s location at any point of time. I got the personal GPS tracker for my school-going kid. It has a very good battery backup, so we can use the tracking device for nearly up to a week on a single charge. When the battery power goes down, I immediately get a low battery alert on my pre-configured mobile number. Recently I got this personal GPS tracker from Connect My World for my 65-year old father. He is prone to episodes of forgetfulness and may sometimes get lost. We used to have the worst time trying to search for him. After we got the tracker, we all are happy and peaceful. The best feature of the personal GPS tracker from Connect My World is its long-lasting battery. So, I can use it for days without worrying about when the tracker is suddenly going to die. Recently, I had purchased the Connect My World personal GPS tracker for my teen. When I gave it to her, she threw a big tantrum about trust and confidence and refused to use the tracker. I was very worried, and called up the customer care. I was asked to return the product immediately and the whole payment was refunded. Very happy. The next time I want to buy a tracking device, I will surely come here only. I recently purchased a personal GPS tracker from Connect My World for my school-going kid. It has a view location on smartphone feature. So, I can check my child’s location any time I want. I have an autistic child, and it is very difficult to monitor him when we go out in public transport. He gets disoriented so it becomes difficult for me to keep an eye on him. That’s when I decided to get the personal GPS tracker from Connect My World. Now, I am happy that I can keep a check on him even if I am not in the same place. Though he is 80 years old, my grandfather is still very independent and travels alone a lot. He doesn’t heed to any of our warnings. So, all us grandchildren got together and got him a personal GPS tracker and asked him to carry with him all the time. He couldn’t say no to us. Now, we are assured of his safety. I was worried about sending my 3-year old child to playschool with a care taker. Though I tried to make time to drop and pick her up from playschool, it became difficult with my erratic work timings. My colleague suggested getting a personal GPS tracker from Connect My World. Now, I can check on her any time of the day. I and my husband work in corporate company, which means we come home very late every day. We used to be worried whenever our teenage daughter went for extra classes and tuitions. Then we got her a personal GPS tracker. Now, even if she doesn’t tell us where she is, we can check her location using the tracking device. I was looking for a reliable personal GPS tracking device for my father. I tried the GPS tracking service offered by Connect My World and I am very satisfied. When my friend told me the benefits of using a personal GPS tracker and suggested it for my ailing grandfather, I first didn’t believe. Now that I gave it a trial shot, I am so happy with it. Half the problems of my grandfather are now reduced because of the tracking device. When my son started college and got his own bike, I got more worried about his safety. I got the personal GPS tracker, so now even he doesn’t call me up, I can track his location and be assured of his safety. Received the Kids GPS tracker about 3 weeks ago. Happy with the performance. Occasionally the GPS location is inaccurate, but most of the time it works well. The only annoying thing is that when the battery gets below 5%, frequent SMS alerts are sent and if the kid is at school, number of SMSs are sent before you had a chance to replace the battery. I wish there is a command to acknowledge ‘low battery!’ message and have the device stop sending repeated SMSs. I recently got a personal GPS tracker from Connect My World. Its best feature is the Help Me button. When my child is in any uncomfortable situation, she just has to press the button, and a message will be immediately sent to the emergency number. I can be assured of her safety when she has this tracking device. I wanted to get a GPS tracker for my family use. I wanted one with a high battery life as I would be constantly on the move and didn’t want to miss out on updates. The GPS personal tracker from Connect My World is absolutely perfect. The personal GPS tracker for kids from Connect My World has a battery life of 4 to 7 days. So, it is a reliable option and offers ample backup for many days. I got the kids’ GPS tracker from Connect My World. It doesn’t work continually, so I don’t have to worry about harmful rays damaging my children’s health. Plus, whenever I need info on their location, I can just give a missed call to the tracker, and I will get a SMS with complete data of the location and directions. When I was checking out for personal GPS trackers for my children, I came across the tracker offered by Connect My World. I checked out its features and found that it was exactly what I was looking for. I got two for both my children. Now, I am secure in the knowledge that my children are safe. I had ordered for a personal GPS tracking device from Connect My World. I was worried if it will be too technical and complicated for me to use. But when I got it and used it, I found it so very easy to use. I got a GPS tracking device from Connect My World for my personal use. It is very compact and easy to use. I like it very much. Managing children is a very difficult task. And if they are children with special needs, it is even more difficult. The personal GPS tracker from Connect My World has made my life as a carer very easy. My daughter attends dance classes every day after school. I was always worried about her safety when she is traveling back home at night. Her teacher told me to get her a GPS tracker and also explained how it works. Now I can be assured of her safety when she’s traveling after class. Keeping an eye on the child is so difficult when he is at home. And what to do when he goes to school? My friend told me how she got a GPS tracker for her child. I too got one, and now am happy that my child will be safe. I heard about how the radio waves from GPS trackers can be harmful for children. So, didn’t know whether to buy one for my child. Then I found out that Connect My World trackers are passive and don’t emit too many harmful rays. So, very happily I got it for my kids. This GPS tracker for kids is not on all the time. So, it doesn’t emit radio waves continuously. I am happy that I have made a safe and good choice in getting this tracker. I acknowledge the receipt of the GPS Tracker. Appreciate your after sales service. I got this GPS tracker for kids from Connect My World. I am very happy with its performance. I wondered about the loss of privacy a child will have when she has to always carry a GPS tracker for kid with her. But this device from Connect My World is a passive GPS tracker, so whenever I want the details, I just give a missed call to the tracker. I want to purchase one but want to know how to use it with iPhone ? When it is so difficult to keep an eye on a normal child, you can imagine the difficultly I have when I take my physically challenged child out. I will always be worried about him and hold him tight scared to lose him in the crowd. But once I got the GPS tracker for kids, my worries have greatly reduced. I am not scared of taking my child out anymore. I read a lot about GPS trackers for kids and wondered if they have any real benefits. I also read a lot of reviews where they spoke about its benefits. I have just got a GPS location tracking device for my kid from Connect My World. After using for some time, I will be able to say it is really beneficial. I was concerned about my child’s safety because she has to go for special classes and then dance classes after her regular school hours. It will not be possible for her to call me every time and tell where she is. That’s why I got a GPS location tracking device for her. Now, I don’t have to worry if she doesn’t call me and tell where she is. At first, I was hesitant to get a GPS tracker for my kid. I was thinking it will be too much of an intrusion of her privacy. But this one is not a real-time GPS, so only when I want to find out about her whereabouts, I give a missed call to her tracker. I am assured my child is safe. Definitely good value for money. I got this GPS tracker for my kid, and now I don’t worry if she doesn’t call me and tell me where she is. I simply check with the tracker. For a paranoid parent like me a GPS tracker for kids definitely works wonders. I used to often fret and create a ruckus at home whenever my daughter would set off with her friends alone. GPS location tracking has proven to be a blessing for me and my family as I can track her location easily. Now my family is not subject to my anxiety any more! I got this personal GPS tracker for my kid. At first I was worried if it will look very conspicuous when she’s wearing it. But, it is so small, just matchbox size. Even my little girl has no problem using this GPS location tracking device. And I don’t have to worry about her safety. The all new innovation GPS tracker for kids is here, putting an end all, the day long worries of parents like me whose kids are all by themselves. Usually my daughter gets embarrassed when I call her in the midst of her friends. This is where GPS location tracking system steps in to put an end to all our worries. . Just by giving a missed call to the tracker, I can get updates about the current location of my daughter. As the name suggests, GPS tracker for kids. The usage of the same is not just limited to kids. I tied it onto my pet’s collar, as he has a habit of wandering off in the neighborhood on his own. With the help of the GPS location tracking, locating his whereabouts in the locality is becoming much simpler now. Internet access is all I need to operate the GPS tracker for kids and whoopee!, I know the exact location as to when my 5th grader reached her friend’s house . Once she sets for home too, the GPS location tracking, enables me to estimate the approximate time when she would be home. Just like kids, elderly people also need assistance. Hence, GPS tracker for kids is one such device that benefits not only my kids but my parents also. GPS location tracking helps me keep updated about my parents whereabouts while I am not with them. They too can reach me in times of emergency with the help of the tracker. I came across the GPS tracker for kids, through the internet, and I was practically elated on reading about it. I was the kind who would often call my daughter at minute intervals to find out if she had reached the school or if she was safe on her way back. But with the tracker in place it enables GPS location tracking wherein I know exactly where my daughter is at the moment with just a miss call to the tracker. I want to share my experience of how GPS tracker for kids has helped me. My daughter travels from home to school and back on her own. I used to often fret over the worry of her getting across safely knowing how bad the world is outside. With GPS location tracking, I sit back at office with ease, and with just a miss call to the tracker, I am aware where my daughter would be at that moment. I am now able to protect my child from wrong directions, or getting lost on the roads. Also, my worries with respect to the whereabouts of my child are at ease now. With the GPS tracker for kids, I can know exactly where my child is at the moment. GPS location tracking sends direct alerts to my phone. I have ensured my kids’ safety by installing the GPS tracker for kids. My kids travel alone most of the time and it’s not possible to keep a track of them while I am at the office. The GPS location tracking made all this possible. I just have to give a miss call to the tracker and I know my kids’ location. The GPS tracker for kids, is a savior to the anxiety of us parents when we need to know where our child is at the moment of time. Often our kids are embarrassed by our concern calls. The GPS location tracking helps us follow our children or family very conveniently. I am a working parent and my child travels to and fro from school on her own. I am often eaten up by the worries as to whether or not she would reach safely and on time. Not any more! Thanks to the GPS tracker for kids, I can now sit back and relax. The GPS location tracking is so simple, it sends me the exact location of my child, merely by giving a missed call to the tracker. The all new GPS tracker for kids does go a long way in aiding for keeping a track of my kids who go to school on their own. Now I am at office worry-free, because with the help of GPS location tracking I can receive location details along with a Google Map link through SMS by the tracker upon giving miss call to the tracker. It’s truly amazing! When it comes to the safety of kids, no compromise made. Only the GPS tracker for kids is simply a marvelous bargain. The amazing size, much affordable price, and ease of use makes it a welcome device both for parents and for children. The device uses the GPS location tracking technology and gives the exact location of our kids, thus keeping our worries at bay! The GPS tracker for kids is something which not only kids can use. It can be of use for our old-aged parents who sometimes like to spend time all by themselves and we are left to fret over their safety at home. GPS location tracking helps us receive location details along with a Google map link via SMS from the tracker by just giving a miss call to the tracker. And we know that our folks are safe! A pocket sized GPS tracker for kids! Now that’s what is called an introduction. A grace that someone remembered how worried parents could be if their youngsters are out on their own. It occurs as a reliever for parents to catch hold of a device that aids in GPS location tracking. It’s truly awe-inspiring as the tracker works wonders during an emergency, with the ‘Help Me’ button that sends alerts to pre configured numbers. A wonderfully sized and priced GPS tracker for kids! This is one thing I was longing for. I can now put all my worries to an end. GPS location tracking helps me know the location of my children by merely giving a missed call on the tracker. The tracker via SMS sends me a Google map link by way of which I can know the whereabouts of my child. A nice innovation that ends all the daylong concerns of parents whose kids are all by themselves. The GPS tracker for kids! It certainly helps me track the location of my children. So also another uniqueness about GPS location tracking is that, in case my child gets lost, there is a Help button, which would help him get access from pre-configured numbers! Truly wonderful! A wonderfully small sized GPS tracker for kids! What more could I ask for?? It’s the most effective tool I have come across for my kids. GPS location tracking helps me get the exact location of my kids once I call the tracker. Finally, all my worries coming to an end! The GPS tracker for kids at a wonderful price with an unbelievable size comes of use not only to kids, but is also effective for GPS location tracking when it comes to my old parents. Anytime I am worried about my parents, I call the tracker and I get the exact location where they are. It’s so simple to use!! GPS location tracking becomes very necessary for me as I often have my my children travel to school alone. I was not sure if my kids would carry such a device. But GPS tracker for kids solved all my problems with immense ease. Because of the long battery life, and pocket-size, it did not take me much time to convince my kids to carry it along. More so, it is easy on the pockets too! A very own personal GPS tracker for kids!! That’s been truly amazing. What’s even more amazing is the cost, battery life, size!! It helps in GPS location tracking, thereby ensuring the safety of our kids, whether at school or elsewhere. Thank you kids GPS tracker, you have put all my worries to an absolute end!! GPS tracker for kids is everything when it comes to safety of our children once they are on their own. GPS location tracking helps us get the location of our kids with the hit of a miss call. This is not only it; its even more recommended for old age people or with people with memory loss problems. A long battery life, and compact size it makes it easy to handle for kids or aged people. My children travel alone from school and back home. As a working parent it was difficult to keep a track of where and how and when they were reaching school. It used to make me feel anxious all the time. Thanks to the GPS tracker for kids!! GPS location tracking helps me keep track of how far he is from school or how far is he, on his way back, to home. Its light in weigh, easy to carry and an amazing battery life; what more could we parents ask for!!! The GPS tracker for kids comes as a package for parents and kids. 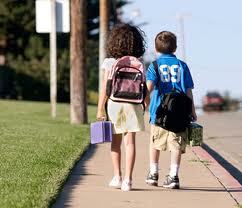 The GPS location tracking helps kids move around safely. It is so very easier on the pockets of the parents with respect to the cost and the small size fits the pockets of the kids. It truly doesn’t feel like a burden to carry along! I have received the product and I am quite happy with its performance. It works exactly the way as described and gives accurate location of my child. Good thing about it is the battery life which is excellent. Thank you Connect my world! I have been truly blessed by the invent of the GPS tracker for kids!!. Now I can be very cool with respect to my kids travelling not only to school but also when they are out on their own. The GPS location tracking also enables them to access their location and make sure they don’t get lost! A complete all in one pack which says “No more worries” for parents as me whose kids are up to themselves most of the time! I no longer need to hit the panic button. GPS tracker for kids comes with everything along with GPS location tracking. With its amazingly small size and a long battery life, it is not very difficult for kids to carry it along. GPS tracker for kids comes as a boon to a concerned parent as me. As my child uses the public transport as a means for communication to school, I was often worried about him. GPS location tracking helps me keep track of how far he is from school or how far is he, on his way back, to home. It also has an amazing battery life. We know that GPS tracker for kids can help us to know where he or she is up to with a miss call. This GPS location tracking device that not many amongst us are aware of being perfectly useful and highly recommended for people having Alzheimer’s disease. Yes, this hassle-free device ensures full safety for your kids and loved ones. I’m a working mom and a GPS tracker for kids is a real boon! It comes in handy when I want to track my child’s location, making sure of his safety and security. This GPS location tracking device helps me locate my kid instantly. I would definitely recommend this device for anyone with similar needs. thanks to Mr visual (I spoke with) for explaining things so clearly and it’s worth it….. I am all set free from my worries. I was worried before about my kid going to school who is just 4years. Using this personal GPS tracker device I can locate my kid and tried it is easy to use too. Presently I’m using this Personal GPS Tracker for my kid who is going to a school which is quite distance from our home. It actually gives the location alert on giving a missed call which helps me to know about my kid’s location often. The battery withstands for prolonged time and sufficient to charge once in a week. I was actually searching for a similar device for very long time and got benefited out of this personal GPS tracker. It helped me a lot to keep track of my school going kid. The long battery life helps to use the device for quite longer time.